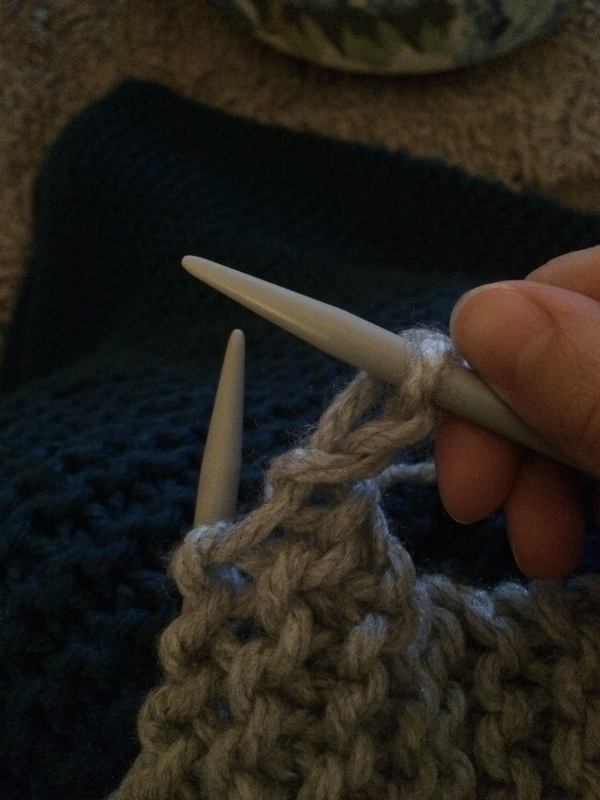 I love sitting in front of the TV of an evening watching some garbage whilst knitting away and making something I will love and appreciate! 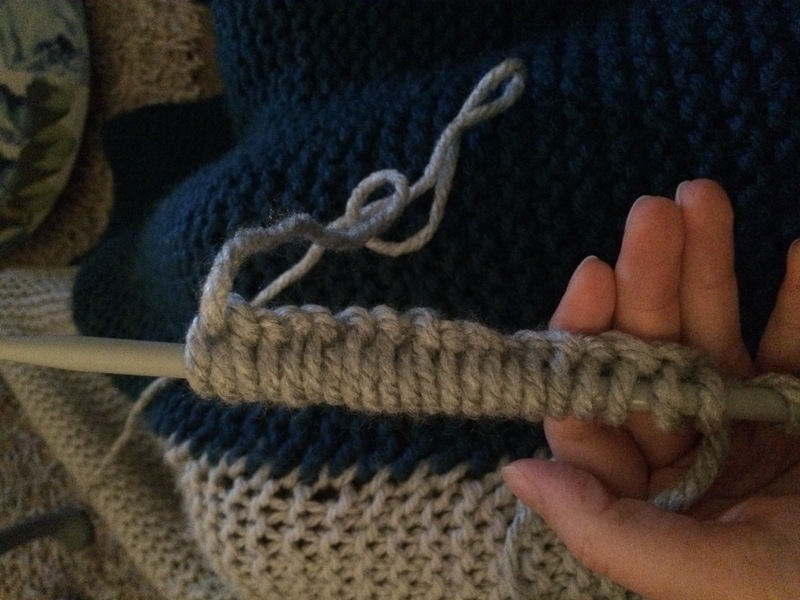 I’m not one of those knitters who can knock up a jumper at the drop of a hat. 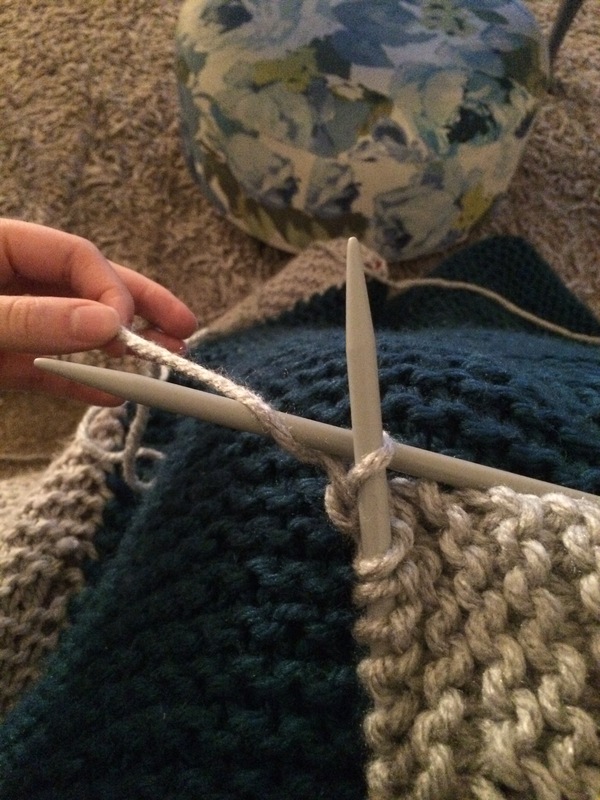 But I do enjoy making a good blanket or scarf! 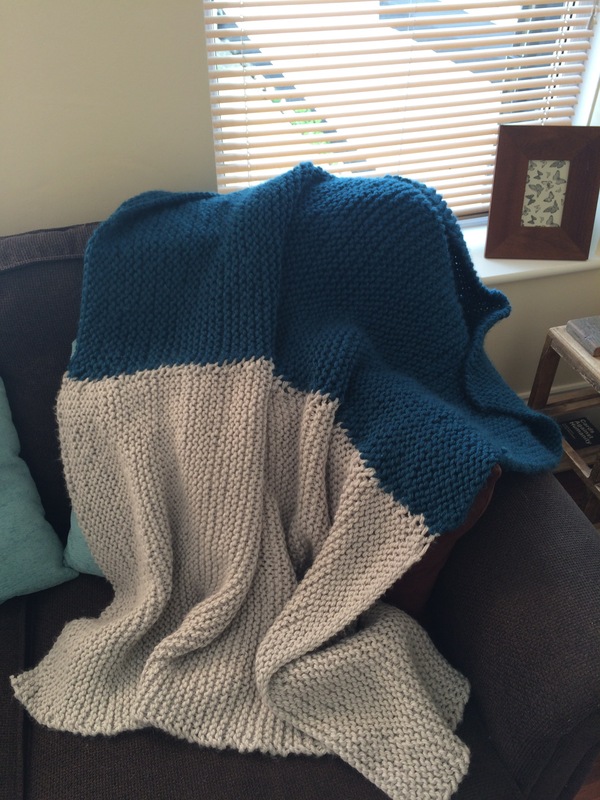 There’s just something about wrapping up in your own hand made blanket that feels especially cosy! 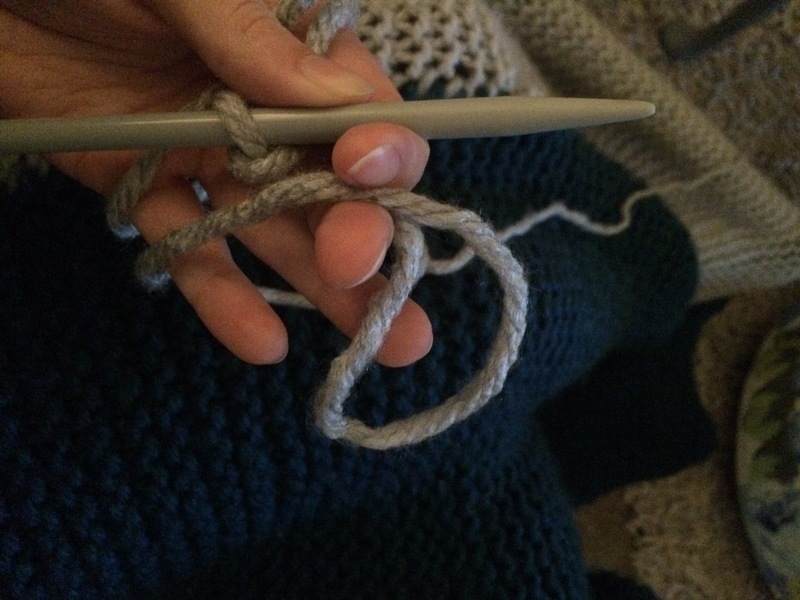 Also, this time of year is the absolute perfect time to take up a hobby like this. It keeps you warm whilst you’re doing it! 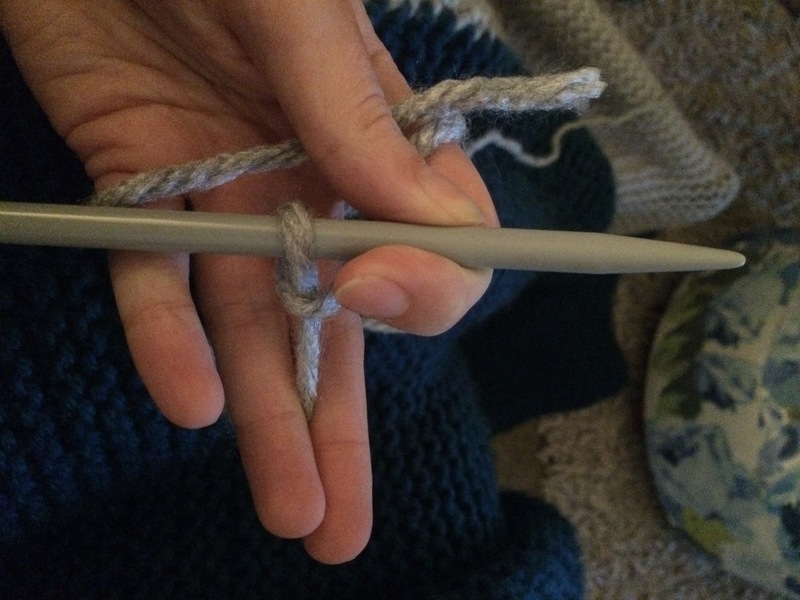 Today I thought I would share with you my simple steps for how to cast on, and then the basic stitch that I use when knitting. 1. 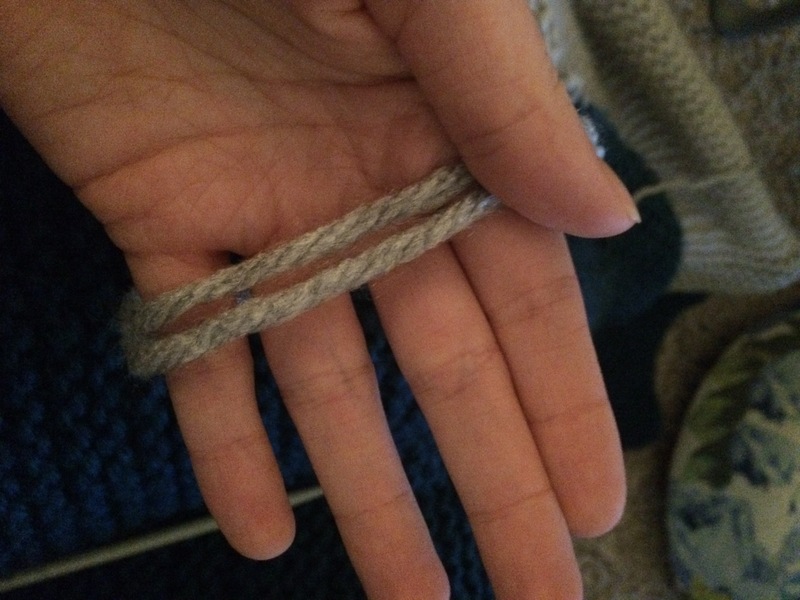 Wrap the yarn around your left hand twice. 4. Make another loop again just as you did before. 5. 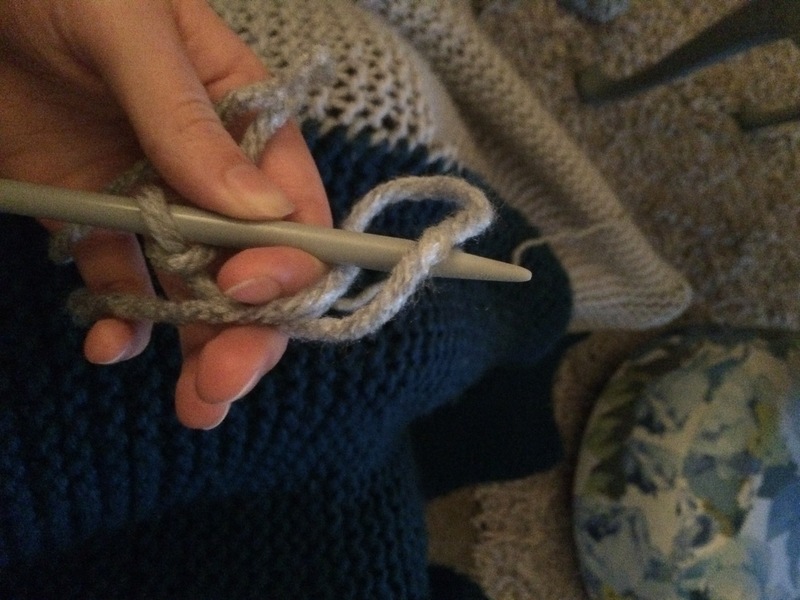 Hook that over the needle again. 7. Keep going until you have however many stitches you need. 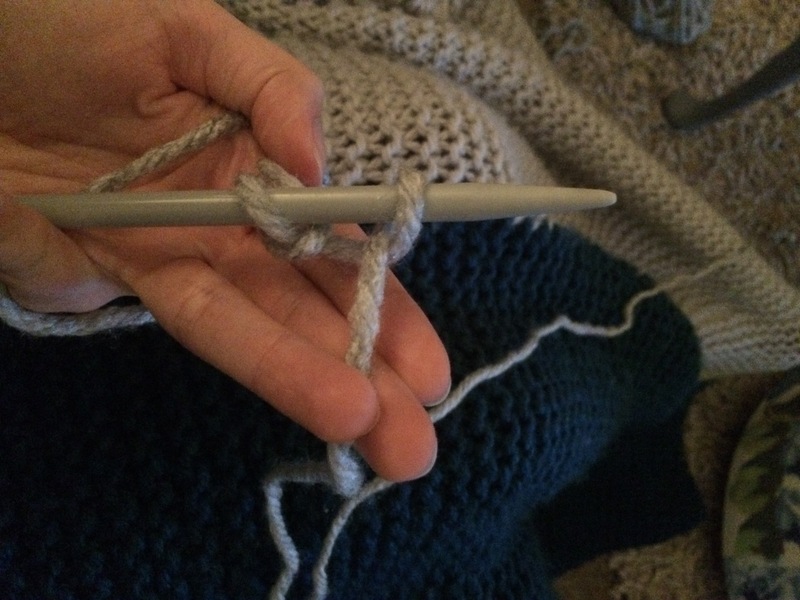 Now you’re ready to knit! 1. You’ll need your ‘full’ (?!) needle in your left hand. And the empty needle in your right. 2. 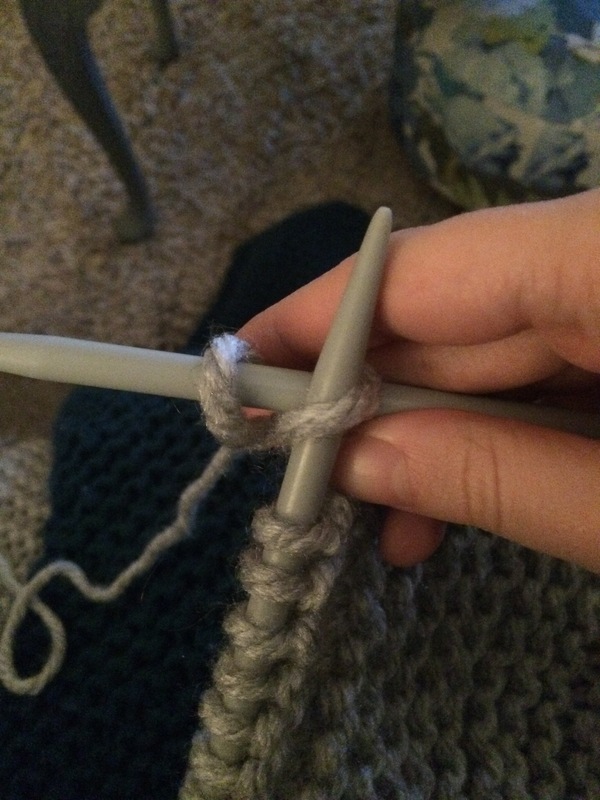 Push your right hand needle behind the stitch on the left hand needle. 3. 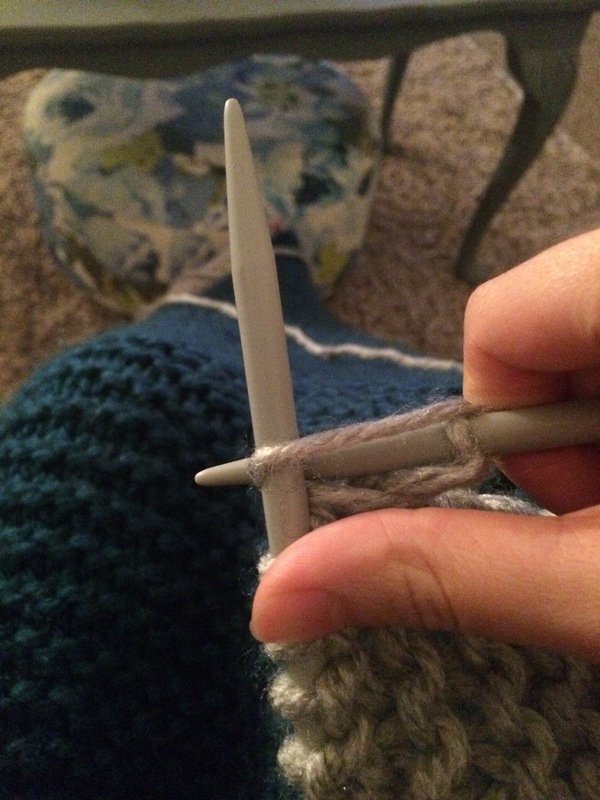 Once your needle is through, take some of your wool and wrap it under, over and back to the back of the needle. 4. 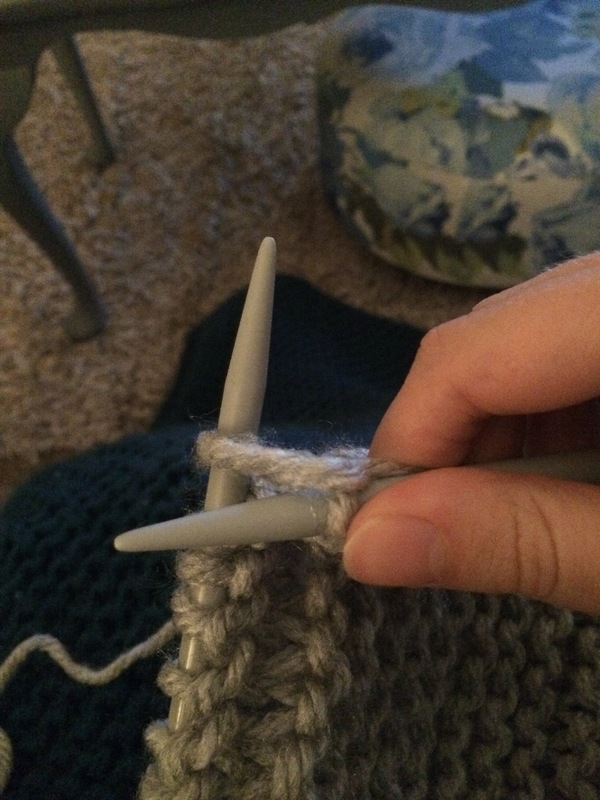 Pull the right hand needle back out from under the left needle, so the right needle is now in front of the left needle. 5. 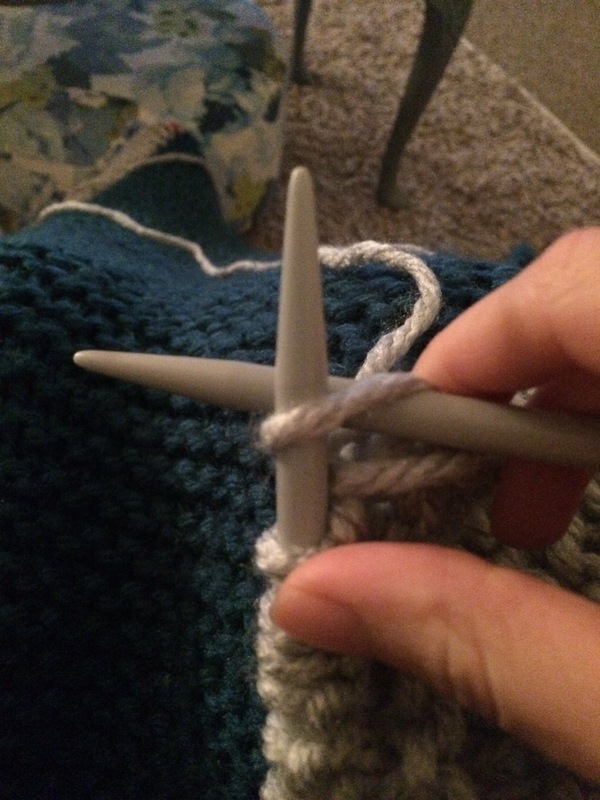 Once the right needle is in front of the left needle, push the stitch up and off the left needle. 6. 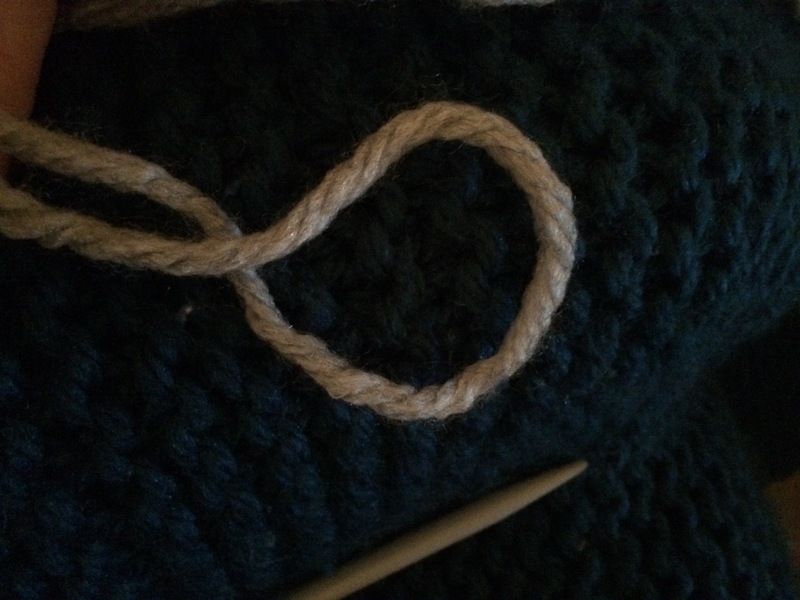 That’s a stitch done! 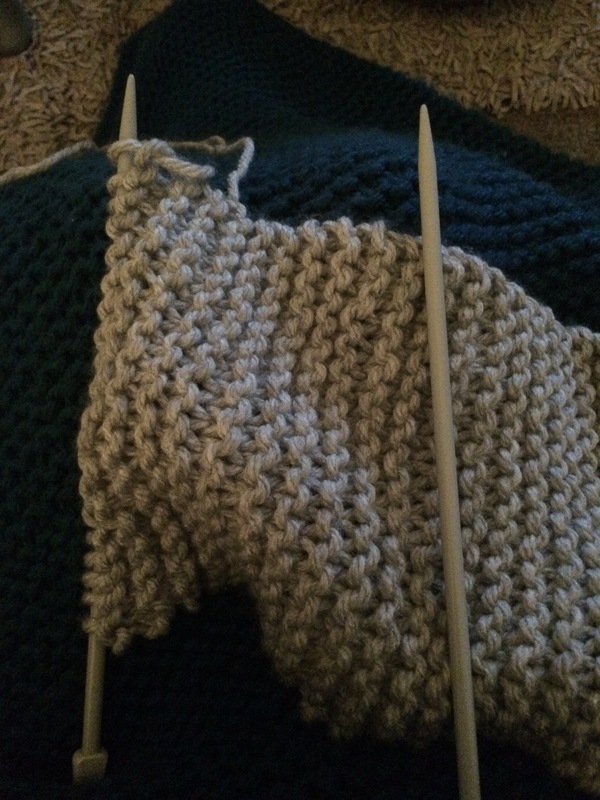 Repeat steps 1-5 over and over until all of the stitches are off the left needle. P.s. Have you liked my Facebook page yet? If not, click here to do so, or search for MulberryGrace on Facebook.